I began playing tennis when i was six years old and have played it ever since. I am now 37. 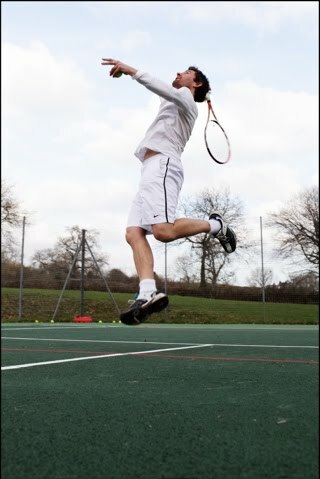 Tennis has been my passion throughout my life and I have played for my school,for various clubs,and to county standard. I played in many LTA sanctioned tournaments as a child. I was lucky enough to live 20 minutes away from Wimbledon as a child growing up and had my first experience of going to watch the tournament in 1985. My dad and I waited what seemed like hours to take a place standing on centre court.It was in the days when you could queue and get on to centre court on the day. My Dad and i hadn't realised that we were watching history in the making as the young Becker went on to win the match in four sets and the title that year. He was just 17. Only 5 years older than myself. Seeing those two tennis gladiators exchanging shots and tricks was awesome and completely hooked me on tennis and wimbledon. I regularly went back usually with my Dad and would wonder around in awe at the skills, charms and habits of those professional players. For those two weeks of Wimbledon every year when I wasn't at the tournament itself, I was glued to the television screen watching English hopefuls getting defeated by better opposition! But it didn't matter to me, i just simply loved to watch and play the game.